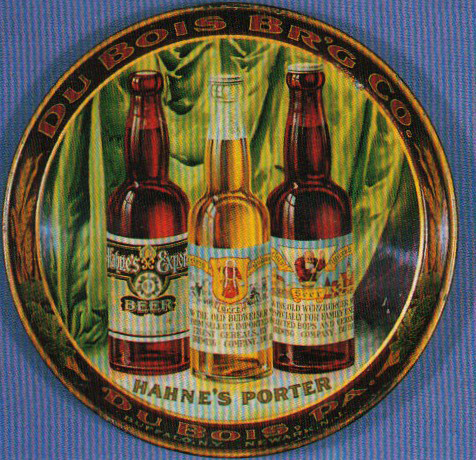 Serving Tray for Hahne’s Porter from The Du Bois Brewing Company out of Buffalo, New York & Newark, New Jersey. Highly detailed tray showing three bottle of the company’s brews. The color and detail in the bottles on this tray are stunning and the depth really makes them jump off the tray at you! The rim features grain and hop motifs to really set the design off right. This pre-prohibition tray is a 12″ round and is a rare find manufacture by the Chas. W. Shonk Company. If you have this tray please contact us for an appraisal or offer.